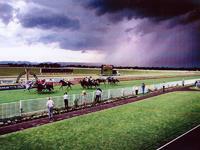 Australia's exciting new training partnership out of Hawkesbury in NSW. The Green Brothers have only been training for a short period but they bring a wealth of knowledge and experience with them and a first class experience for their owners. Peter and Clint Green bring a unique partnership to racing and both complement each other’s roles in the day to day running of Green Brothers Racing. Clint, as Racing Manager, handles all the communication with owners and clients. Providing professional and informative information Clint constantly keeps owners up to date with video and audio messages, making sure they get the most out of their ownership experience and importantly are kept up to date with all things happening with their horses and the stable. Clint takes care of as much of the administration and business planning as he can away from the track, enabling Peter to focus on what he does best, training. Peter enjoyed a long and successful career in harness racing where he has worked and learnt from some the best within the industry. His horsemanship is first class and his work ethic built from his time in the harness racing game, holds him in good stead to transition a successful training in the thoroughbred industry. Green Brothers Racing is based in Hawkesbury in NSW, where they make use of the great on track facilities and perfect climate that ultimately provides the ideal environment for training and racing thoroughbreds. Peter and Clint have everything they require on and off the track to provide every horse with an opportunity to thrive and reach their potential. Peter and Clint believe that being able to walk their horses on to the track each morning from his on-course stables is a massive advantage and better for the horse in terms of a relaxed training environment. Further, being located on track and always surrounded by other thoroughbreds, the Green Brothers racing team naturally learn to develop a sound going temperament, helping the horses cope with the additional environmental factors presented on race day and the alike.